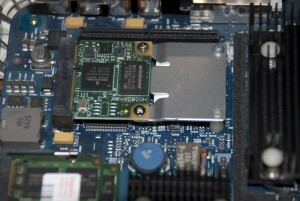 After reading this article http://xbmc.org/davilla/2009/12/29/broadcom-crystal-hd-its-magic I decided to give my older Mac Mini used as HTPC a second life. 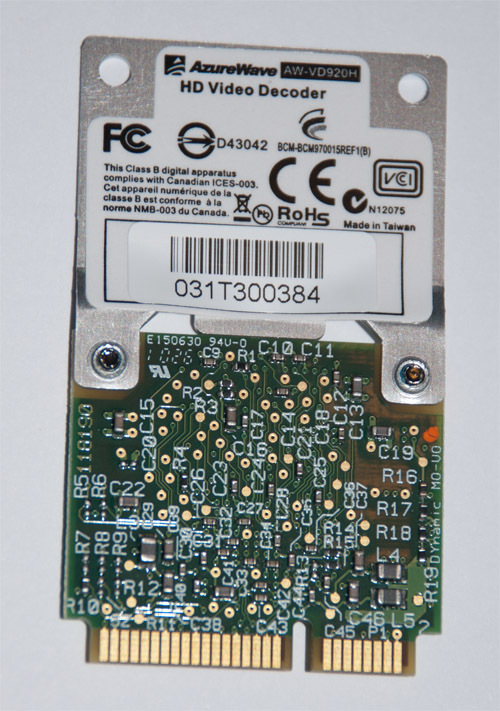 The Broadcom Crystal HD is available now in a mini-PCIE card with ExpressCard and 1X PCIE form factors to follow. This means that the AppleTV and all those lovely new netbooks, Eee Boxes and older Intel Mac Minis have exciting new potential. That said I began my search for this Broadcom HD Video Decoder. It appeared there are two models, the older BCM70012 and the newer one BCM70015. I chose the last one because it’s smaller, more energy efficitent and handles MPEG-4 ASP (XviD/DivX) where the BCM70012 does not. I ordered the device at Logic Supply for USD 49. It took two weeks (international shipment) before I received the card, as seen on the picture. The next step was to disassemble the Mac Mini. Since I had done this some time ago to upgrade the memory, it was a walk in the park. There are a lot of good quality youtube movies which will guide you step by step in the process to take it apart. 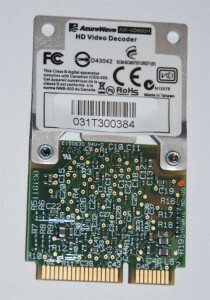 Once opened you’ll notice that the mini-PCIe slot is already taken by the wireless Airport card. So replace the wireless with the BCM70015. I don’t mind loosing the wireless functionality because I’m not using it anyway for the Mac Mini. Needless to say, but walk through the steps in reverse order to assemble the Mini. Before the newly added hardware can be used you’ll need to install the driver manually. I followed the steps explained on http://code.google.com/p/crystalhd-for-osx. I am using the precompiled crystalhd-for-osx-3.6.0.zip driver. Support for BMC70015 is available since 3.6.0. To utilize the magic I’m using XBMC. 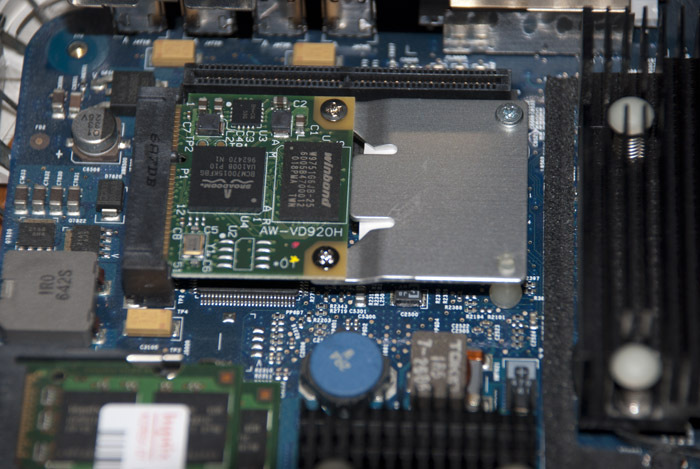 There’s support for the Broadcom Crystal HD card since XBMC 10.0 (Dharma). My retro Mac Mini is now doing full HD (1920 x 1080) movies without any frame drops or stutter.